As far as wine goes, I was admittedly pretty darn late to the game. I am literally just starting to appreciate the different flavors and pairings. So when I was offered the chance to talk about this collection of wines from various regions in France, I took it! It was an opportunity for me to genuinely experience them myself and show you that French wines are not only very accessible, but more affordable than you think! 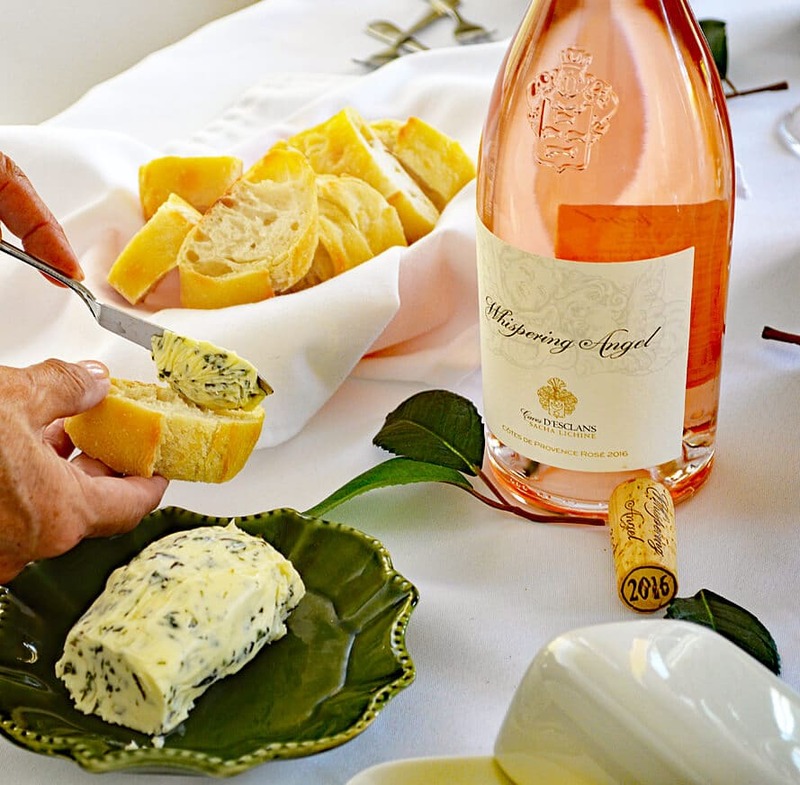 Everything here is vegetarian and I have personally confirmed with each winery that all of the wines are in fact, VEGAN. 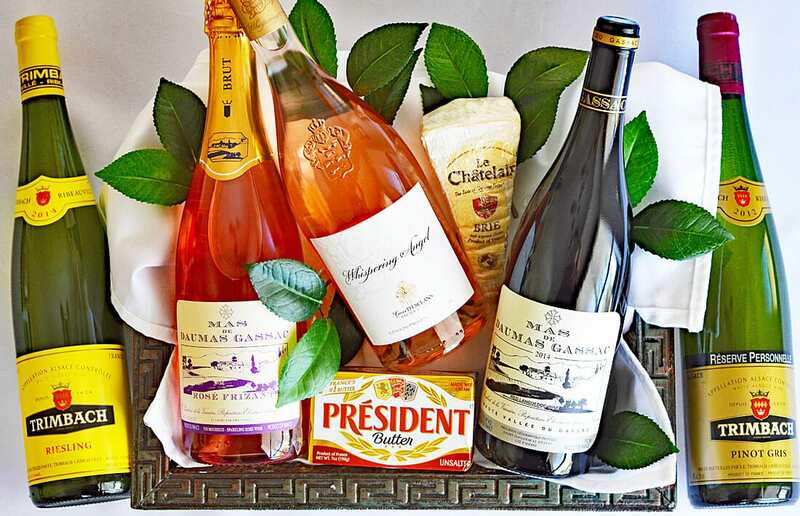 Let’s take a little journey together through France via this superb collection of wines! It was my first time trying all of these wines, so this was a lot of fun for me. I also had family in town which made our little party a little bigger. Everything was really delicious! 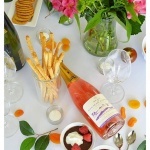 First up was the Château D’Esclans, Whispering Angel Rosé from Provence VERIFIED VEGAN-FRIENDLY. Folks, this is a stunningly beautiful bottle of wine! Pair this one with savory dishes, a pasta salad, or as I have here today with a variety of olives, crackers, etc. Whispering Angel retails for around $22. 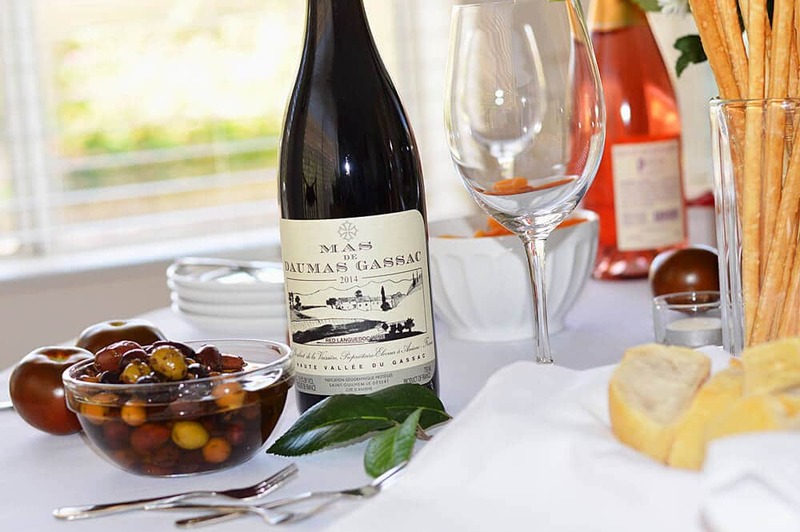 The Mas de Daumas Gassac Red 2015 from Languedoc VERIFIED VEGAN-FRIENDLY, the only red in our collection, is perfect with vegetable dishes such as Ratatouille for instance. This one was actually my favorite, but I tend to lean more towards reds in general. The bottle retails for around $39. 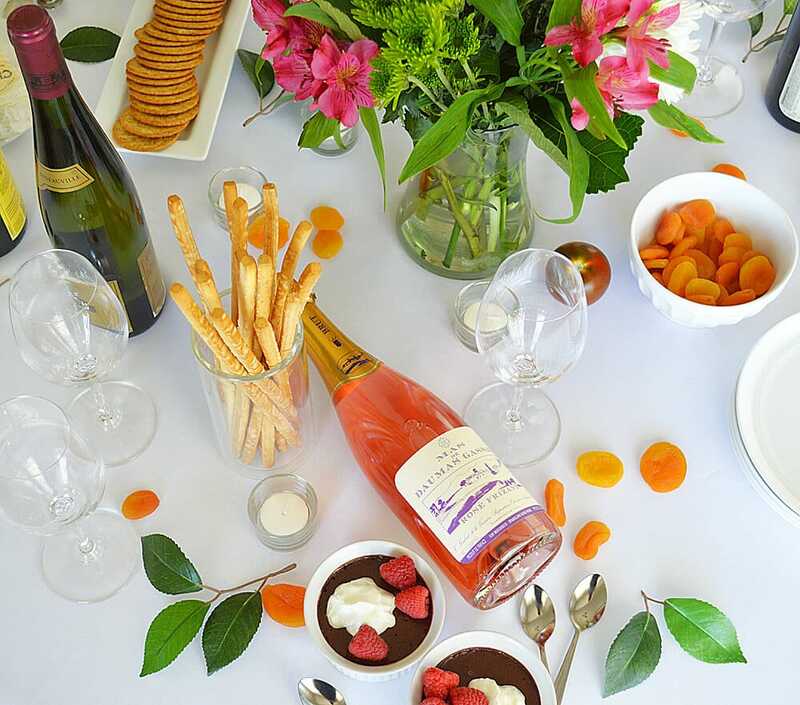 Mas de Daumas Gassac Rosé Frizant 2016 from Languedoc VERIFIED VEGAN-FRIENDLY is another Rosé and the one I chose as my dessert wine. 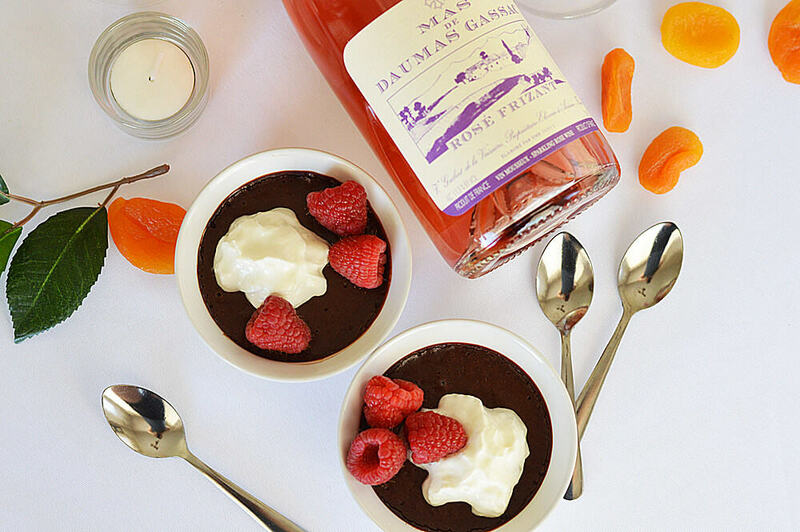 It pairs well with chocolate and raspberries so I create a vegan Chocolate Pots de Creme. I’ll include the recipe down below. So creamy and delicious, with a background of coffee. P.S. Chocolate loves coffee! I think you’ll really love it. The Rosé Frizant retails for around $26. 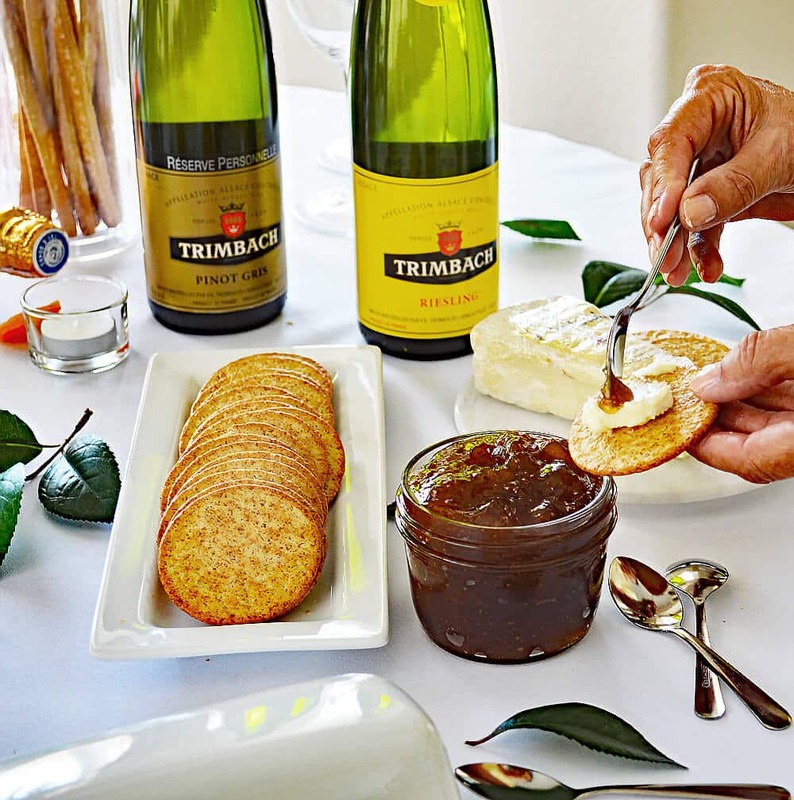 For three centuries and across 13 generations, the Trimbach family have produced wines that are structured, long-lived, fruity, elegant and balanced. 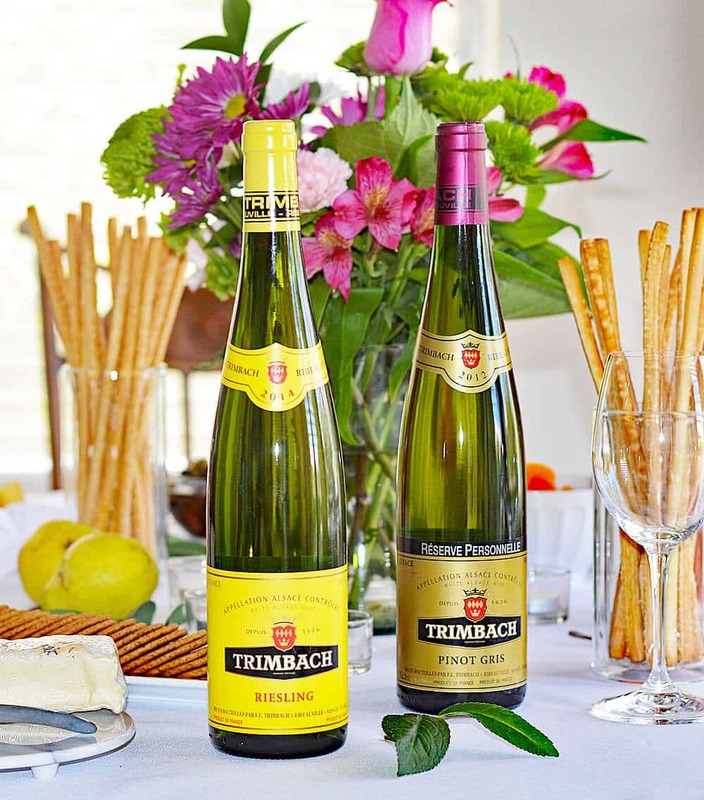 That is the celebrated Trimbach style. If you are a vegetarian, you might also be interested in President butter from Normandy. I decided to create a Garlic and Herb Infused Compound Butter to go with the warm-from-the-oven crusty French Baguettes. I’m including the recipe I used down below. It retails for just $2.99! I also encourage you to check out the recipe on the President website for Madeleines. A classic little cake-like cookie, these are my favorite! Last, but not least, Le Châtelain Brie a cheese from Raival in Meuse, France was perfect for spreading on crackers, perhaps with a bit of fig jam. The Brie retails for around $15 per pound. 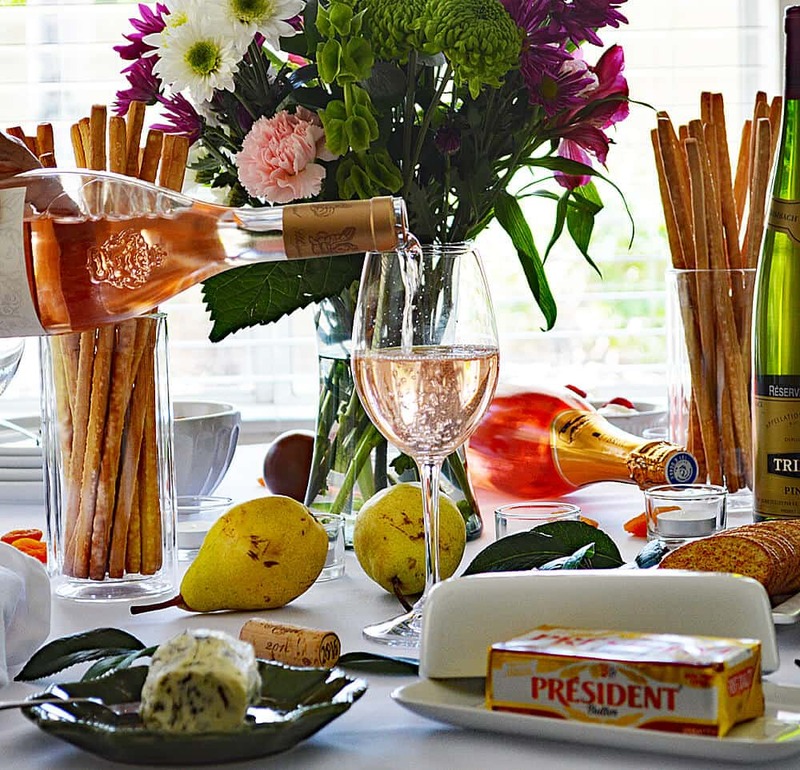 French foods + wines are not always for big occasions. They are perfect for every day too! Which one is your favorite? Let me know in the comments section below. And if you haven’t tired any of these wines, I encourage you to seek them out. They are extremely affordable and accessible no matter where you live! Add the chocolate chips, vanilla and Aquafaba to a blender and pulse a few times until the chips are well chopped. White the blender is running, pour the HOT coffee through the feed hole at the top slowly. Mix until smooth, about a minute or so. Divide the mixture among ramekins. You could also use coffee or tea cups. Chill in the refrigerator for several hours until set. Cover with plastic wrap if not serving right away. Serve with a dollop of dairy free whipped cream, fresh raspberries and perhaps a few chopped pistachios. Garnish with fresh mint. Slice into rounds and spread onto crusty French baguettes. That is the greatest looking recipe for infused butter. I really like the “afternoon in a Paris Park” type of feel in your post. Definitely checking out the wines. This looks so yummy! I love that you made two pairing recipes for us to try.